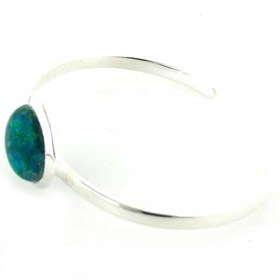 Sterling silver bangle with a large round chrysocolla gemstone. 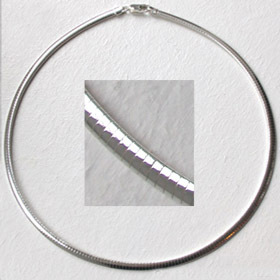 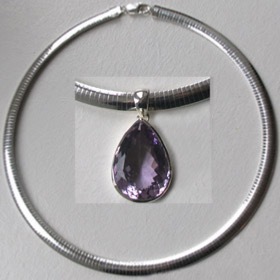 The bangle is plain solid sterling silver and is open at the back to aid fitting. 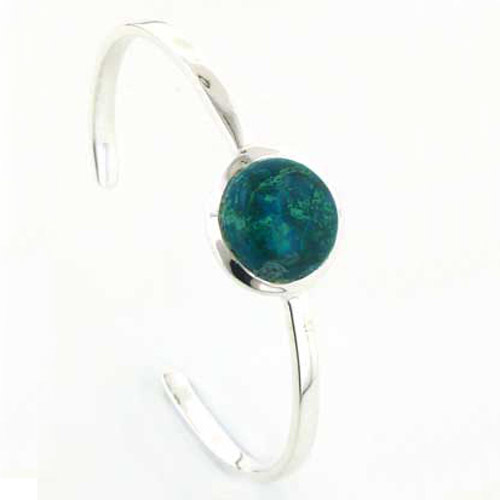 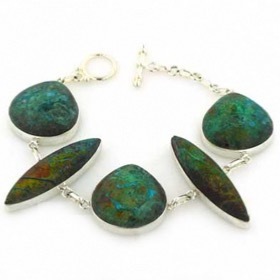 The round, natural chrysocolla gemstone is plain set and the silver bangle is elegant and sleek on the wrist. 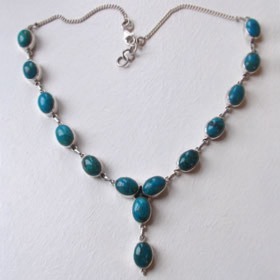 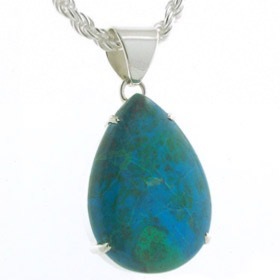 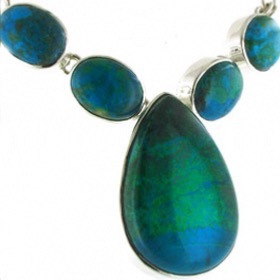 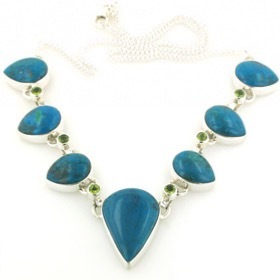 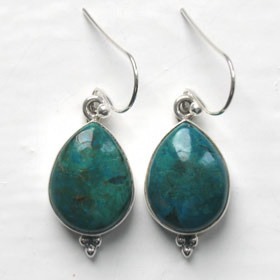 Chrysocolla is a colourful semi-precious stone combining greens, blues and turquoise with greys and bronzes. 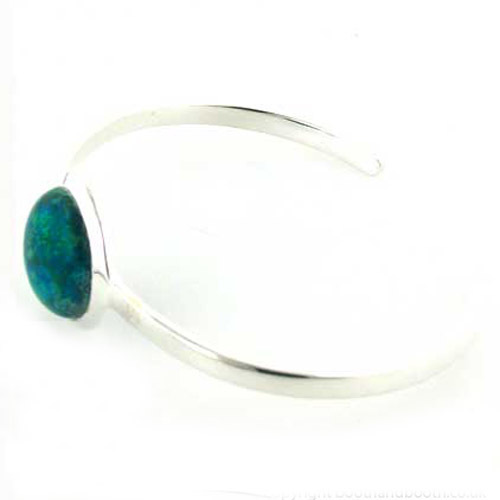 The bangle fits closely around the wrist, like a watch and will fit slim as well as larger wrists. 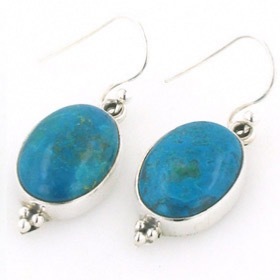 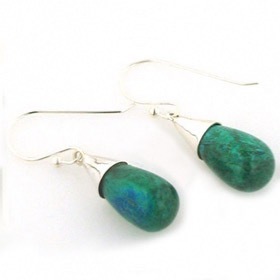 For a complementary pendant see our collection of chrysocolla pendants and for earrings see our chrysocolla earrings.